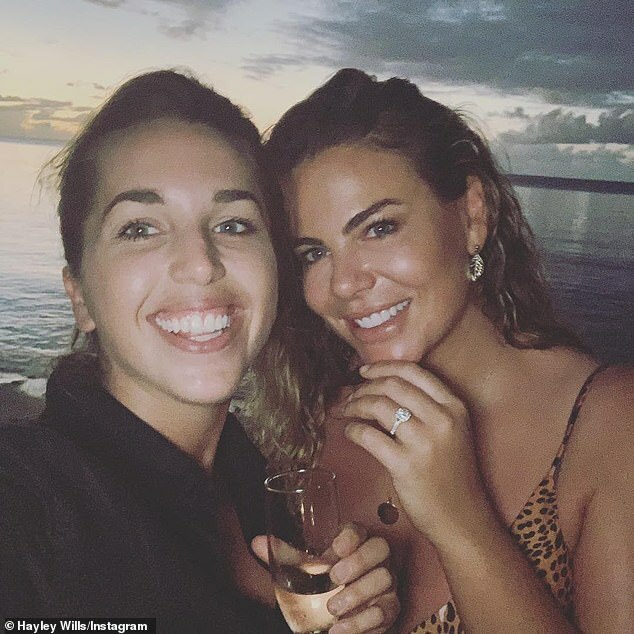 Fiona Falkiner is engaged to Hayley Willis after just seven months of dating. The former Biggest Loser host, 36, announced via Instagram on Wednesday that her girlfriend had popped the question while on holiday in Vanuatu. 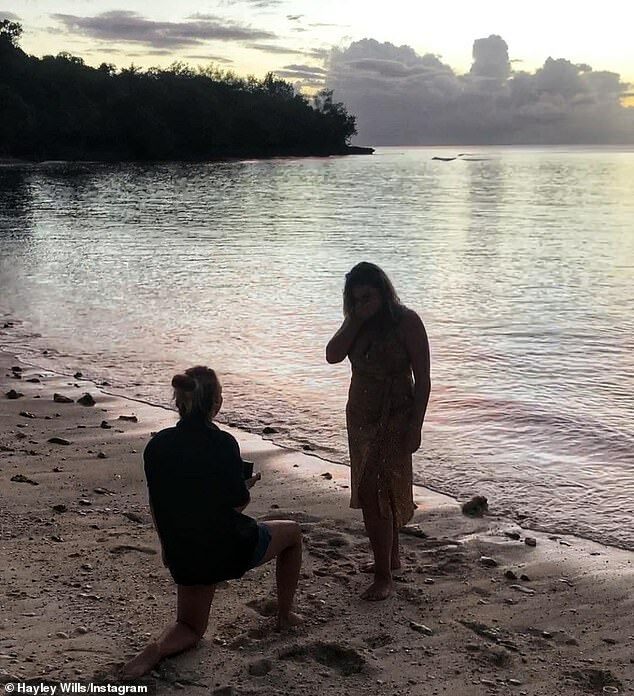 The romantic proposal took place at sunset on a private beach at The Moso resort, with Hayley presenting her partner with a diamond sparkler. ‘She asked and I said yes!’ Fiona wrote on Instagram, alongside a photo of herself showing off her new engagement ring. Hayley, who is sports reporter for Channel Nine, also shared pictures of the proposal and paid tribute to her new fiancée. Hayley went on to thank staff at The Moso for ‘making this incredibly perfect moment possible’ and ‘the locals who set off fireworks as we came back to the resort’.